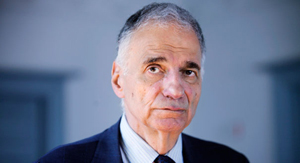 Ralph Nader Inducted Into Automotive Hall of Fame | The Consumer Law Group, P.C. Ralph Nader, the father of automotive safety, was inducted in the Automotive Hall of Fame this July in Detroit. Nader is responsible for setting in motion significant safety reforms after the publication of his 1965 book, Unsafe at Any Speed. Nader’s work after the political response from his book led, in part, to the creation of the National Highway Traffic Safety Administration (NHTSA) and federally requiring seatbelts, antilock brakes, and airbags in cars.